When Mark Twain wrote “Mauritius was made first and then Heaven. 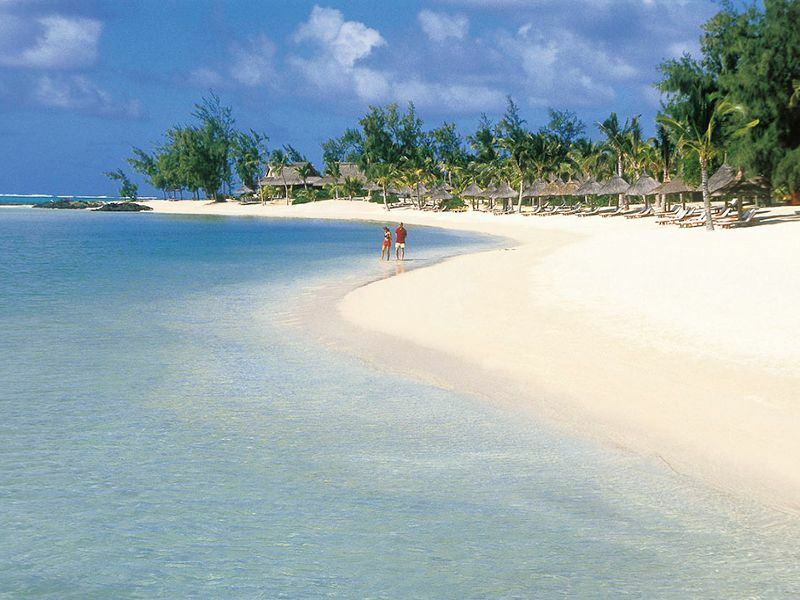 And Heaven was copied after Mauritius” in 1896, it was not a given that this volcanic island off the eastern coast of southern Africa would be a rite of passage for newlyweds and loved-up couples some 120 years later. We’ve worked out way around this Indian Ocean paradise to bring you the places most likely to sweep you off your feet. The stay: It’s all about tuning into nature at this five-star boutique sleep on the UNESCO-protected south-west side of the island. And there’s really plenty of it; from the foothills of Le Morne and the wildlife-rich Black River Gorges National Park, to the swathes of palm-lined white sands that seem to go on forever. You’ll also be wowed by the 149 spoiling rooms and suites scattered around the lush grounds - all of which have rattan-lined cathedral ceilings, gleaming wooden flooring, marble bathrooms, iPad mini’s, and signature LUX beds. The romance: Given this place is so peaceful and laid-back, romancing couples who want to do little more than relish long lie-ins, relax by three sculptured outdoor pools (two have swim-up bars), and take hand-in-hand strolls on the beach will be deliriously happy. There’s also a divine LUX* Me spa for top-to-toe pampering, seven unique dining spots for island-inspired dishes (round-the-clock room service is also available), and a selection of customised activities (kite surfing, mountain climbing, cycling, water-skiing) for those who want to exert themselves. 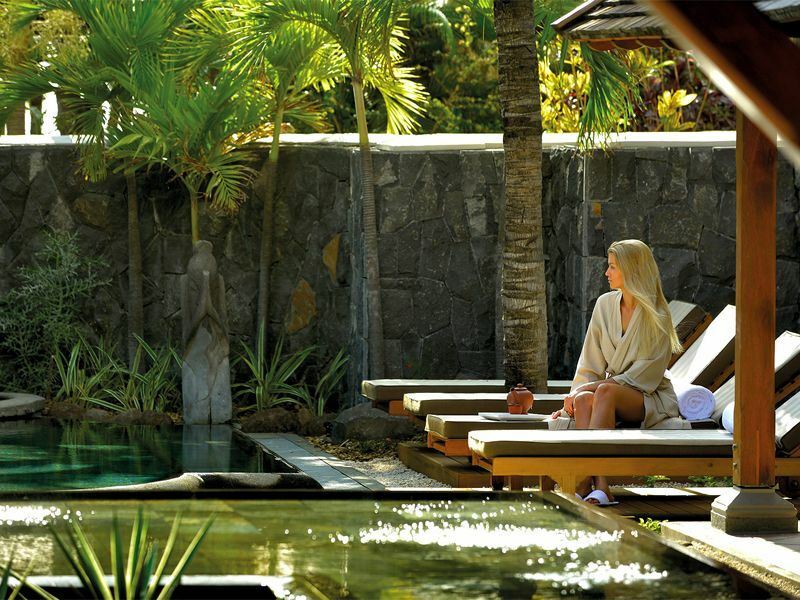 The stay: The Zilwa (islander) spirit that Mauritius is so famous for is prevalent at this understated four-star resort in Calodyne on the island’s northernmost tip. There’s 214 rustic-chic rooms set in crescent-shaped buildings facing the sea, all of which come with French Beton Ciré floors, driftwood furniture, coconut fibre carpets made by local craftsmen, artworks by Mauritian painter and philosopher Malcolm de Chazal, and free Dodo flip flops instead of slippers. The romance: Island-inspired activities are plentiful for dewy-eyed couples craving together time; from sunset cruises, rum-making classes, and sapsiway lessons (a traditional Mauritian game), to paddle boarding, scuba diving, and snorkelling. For those who’d rather slow the pace right down, there’s three great pools with comfy sunloungers, a spa offering beauty treatments, and two privately-owned islands - Gran Zil and Ti Zil. The dining is just as impressive, with a choice of restaurants serving up home-cooked Creole, European, Indian, and Asian cuisine. 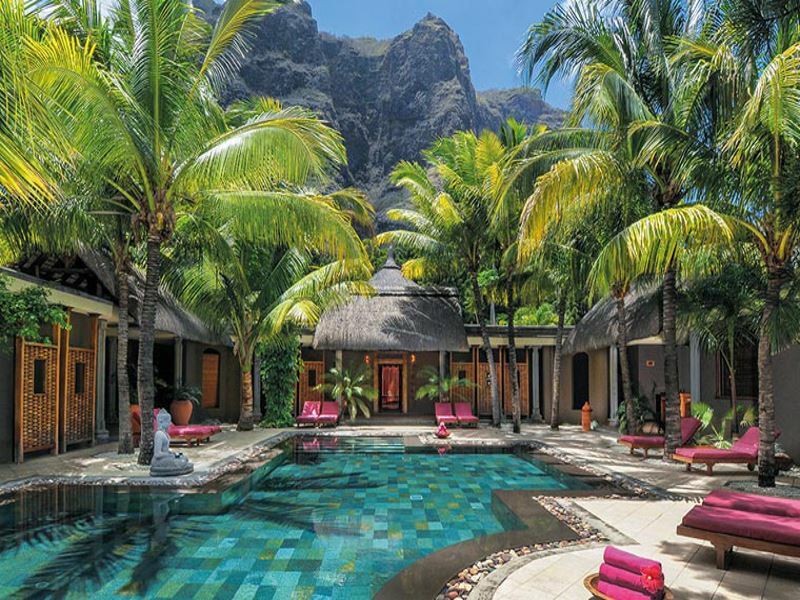 The stay: The spoil-you factor is high for luxury-lovers at this Feng Shui-designed property close to the quiet fishing village of Grand Gaube in the far north of Mauritius. The three idyllic white-sand beaches are enough to nurture passion, but there’s also literary readings, sunset dinners, private rides in the resort’s seaplane, and interesting island-hopping tours. And just to top things off, you’ll find 193 good-looking rooms, suites, and villas - all of which delight with soothing whites, splashes of on-trend colour, signature LUX beds, and all mod cons. 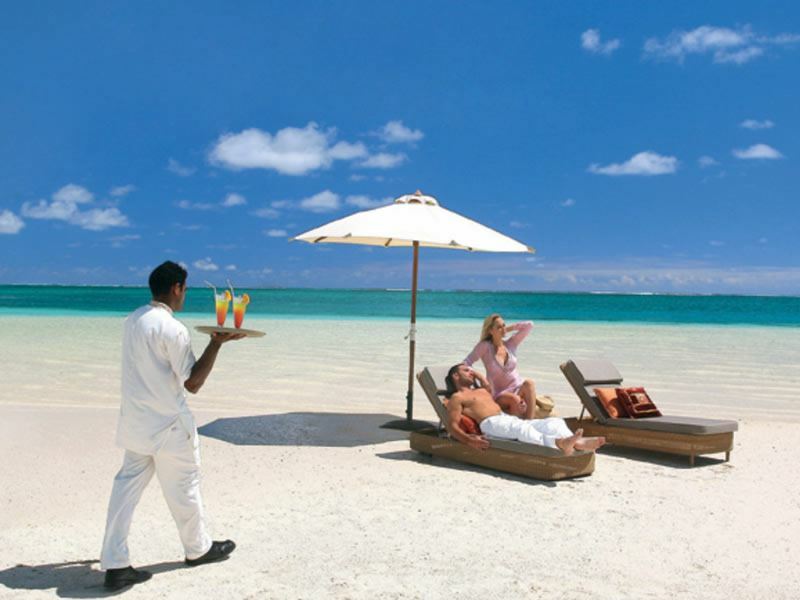 The romance: The very sweet “message in a bottle' concept keeps guests continually surprised by impromptu “treats” (anything from ice cream carts and mini bottles of Mauritian rum to a pop-up cinema under the stars). You’ll also find a sublime LUX* Me spa, four outdoor pools (including one just for grown-ups), three floodlit tennis courts (including a coaching academy), and a selection of watersports. Equally impressive are the laid-back bars and restaurants, many of which have serenading musicians who will woo you all night long. The stay: The eye-poppingly beautiful setting of Domaine de Bel Ombre in the island’s southwest sets the bar rather high at this buzzy all-inclusive resort fronted by a glistening lagoon and surrounded by sugarcane fields and lush green hills. On the accommodation front, all 214 of the sea-facing rooms all set in an arc around four outdoor pools are finished to a high spec. Each comes with playful décor, bold splashes of colour, funky fixtures and fittings, large marble bathrooms with showers or bathtubs, and a decent amount of indoor and outdoor living space. The romance: The vibe here is cheery and spirited, so there’s plenty to please on-the-go types who fancy getting stuck into watersports, land sports, and golf (there’s some superb international golf courses nearby). 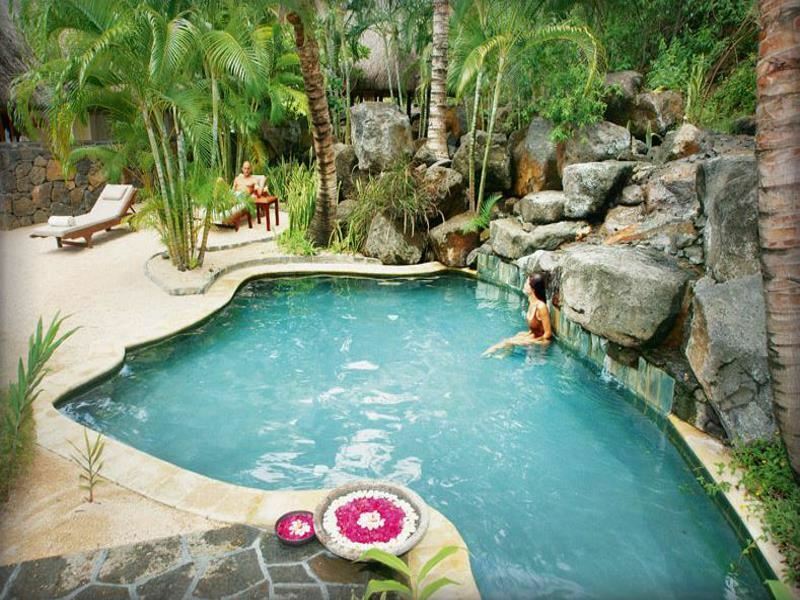 There’s also four fantastic swimming pools, a LUX* Me spa, and a private beach. Once night falls, you can watch sunset movie screenings on the beach, work your way around several top-notch dining spots, and chill out with cocktails and mocktails at any of the relaxed bars. There’s also an on-site nightclub if you fancy getting your groove until late. 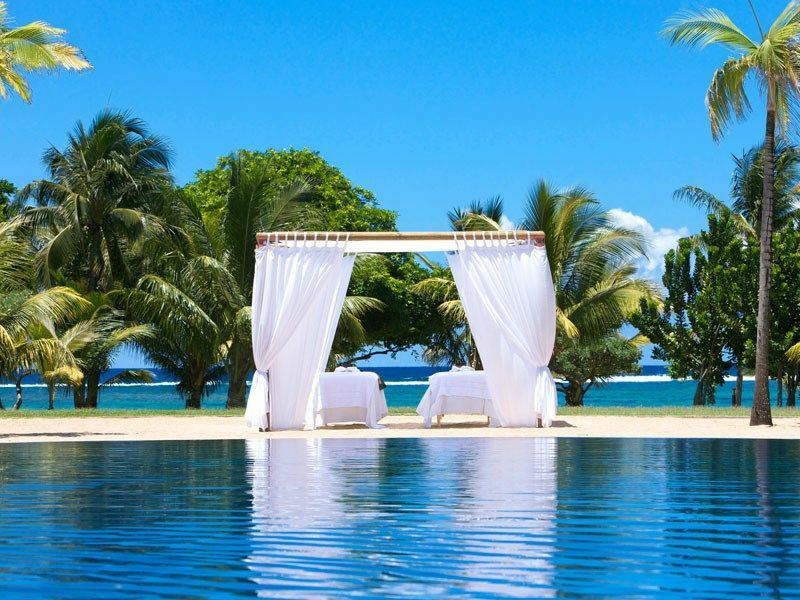 The stay: Where better to cosy up with your loved one than this smart and sophisticated five-star resort on the east coast’s ravishing Belle Mare Plage. Flaunting its new good looks thanks to a recent overhaul by British interior design queen Kelly Hoppen, it wows with 174 thatched-roofed rooms and villas - all with Indian Ocean views and up-to-the-minute design elements. Private balconies, soothing whites with vibrant colour accents, gorgeous bathrooms, custom-made LUX beds, and in-room services (available at the touch of an iPad) add to the luxe appeal. The romance: Tempting as it may be to stay to stay in your room all day, the on-site facilities (award-winning LUX* Me Spa, state-of-the-art gym, tennis courts, huge freeform pool, private white-sand beach, mountain bikes, glass-bottom boat rides, computer games, yoga, Tai Chi) are too hard to resist. There’s also four fantastic restaurants, a coffee shop, a homemade ice cream kiosk, and ad hoc romantic Screen On The Beach nights where you can snuggle up, watch a movie, and eat popcorn under the stars. 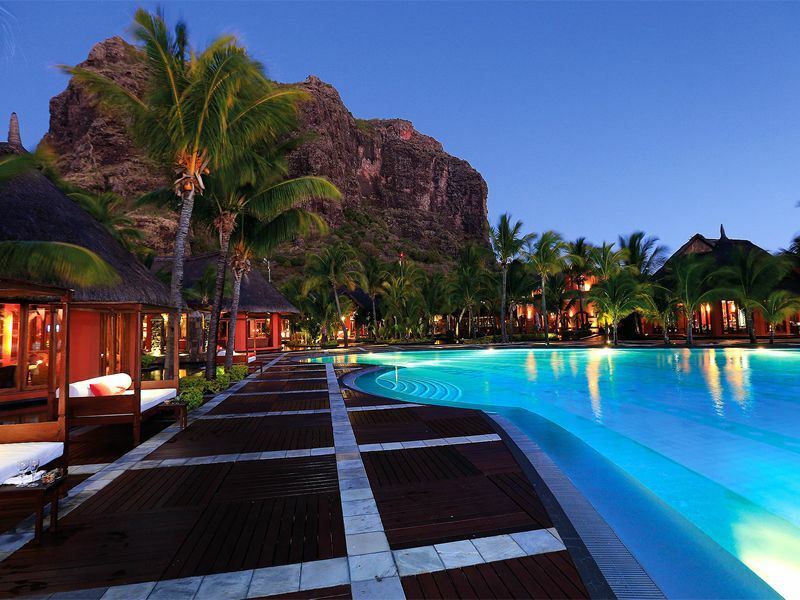 The stay: The 18-hole championship golf course sheltered by the Le Morne Brabant mountain gets all the love at this five-star resort set on the Le Morne peninsula, but you’ll find everything else here infinitely appealing. Most standout are the 286 guest rooms - all of which come with oversized Mauritian-style bathrooms, comfortable beds, and private terraces or balconies overlooking the palm-fringed pool or the Indian Ocean. To really impress, book one of the swanky villas that come with helicopter transfers, butler service, and a chef. 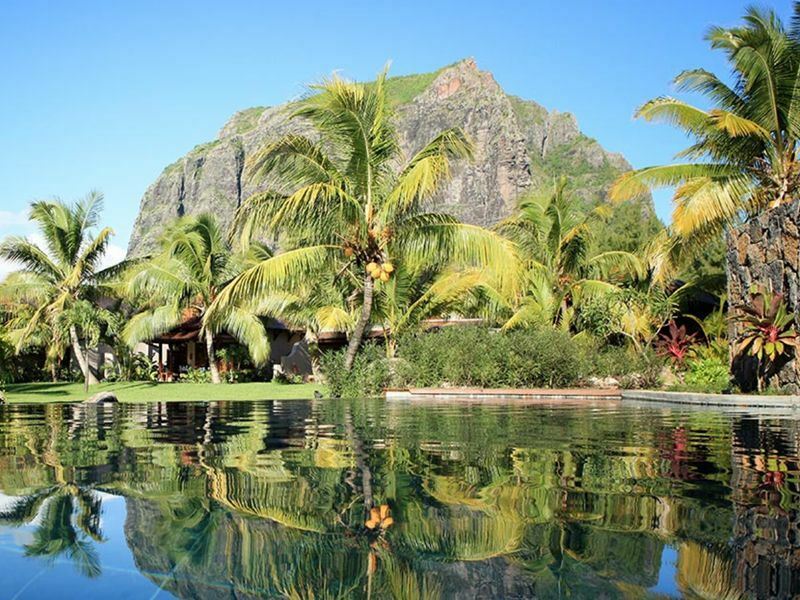 The romance: In addition to complimentary green fees, sporty types can enjoy tennis, yoga, paddle boarding, watersports, a PADI dive centre, fishing in the lagoon, and helicopter rides to Le Morne’s much-lauded Underwater Waterfall (this is the only resort in the south to have a helipad). Further treats include a modern spa with a wealth of pampering treatments, a lively beachfront bar with nightly entertainment, and a dine-around service that allows you to eat at eight different restaurants - some of which are à la carte spots that must be booked in advance. 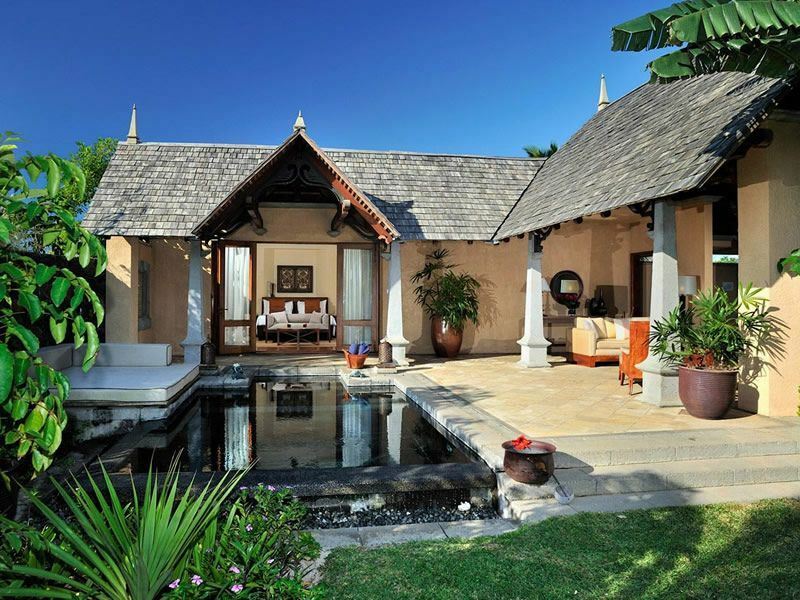 The stay: As the only all-villa resort in Mauritius, this award-winning property overlooking the magical blues of Tamarin Bay ticks the paradise boxes for seclusion, serenity, and brilliantly-hued sunsets. Spread over a generous 27 acres of lush tropical gardens, each of the 65 thatched-roof villas comes with its own infinity plunge pool, private patio, and round-the-clock butler service. There’s also lavish island-style décor, flatscreen TVs with DVD players, espresso machines, iPod docking stations, and beautiful bathrooms (some with open-air showers). The romance: This place hits big on the doing front with an exciting variety of activities such as kayaking, windsurfing, snorkelling, sailing, beach volleyball, and yoga. There’s also a state-of-the-art gym with cardio equipment, floodlit tennis courts, and a sumptuous-looking spa for signature massages and customised wellness treatments. And it’s all just as fancy on the wining and dining front, with two excellent restaurants that pull focus on dishes made with home-grown herbs and spices as well as seafood specialties courtesy of the morning catch. The stay: Peace and privacy just for grown-ups is guaranteed at this adults-only boutique hideaway on a man-made cove on Mauritius’ beautiful northern coast. From the offset, it’s pretty obvious that everything here is designed for memorable moments; from the cosy little thatched love nests-for-two scattered throughout the tropical gardens, to the 67 rooms and suites that come with canopied four-poster beds. This is all topped by a stunning cliff-top infinity pool that promises stunning turquoise lagoons views and no shortage of sunloungers. The romance: Prepare for be dazzled by this love-in that’s both low-key and action-packed. There’s a dine-around programme for four unique restaurants (one of which is for à la carte seafood specialties under thatch beside the water’s edge), an incredible Cinq Mondes spa, and plenty of secluded spots where you can park yourself with a bottle of rum and gaze at the stars. For those wanting to see a bit of island life, there’s bike tours to sugarcane fields, luxury yacht cruises, and complimentary excursions to the nearby fishing village of Cap Malheureux. 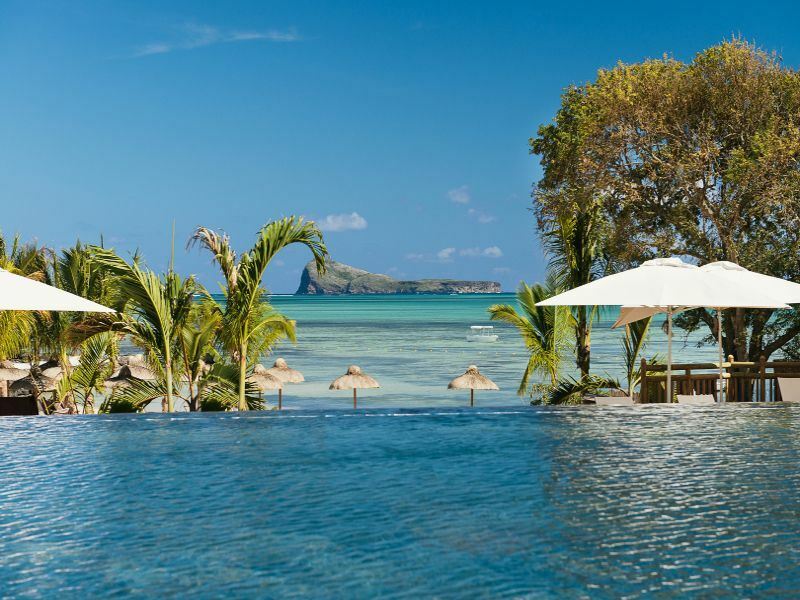 The stay: It’s all pristine white sands, graceful UNESCO-listed Le Morne Braband Mountain surrounds, cascading pools dotted with islets, and flower-filled tropical gardens at this shamelessly romantic five-star on Mauritius’ south-west coast. Glamorous without being over-the-top, you’ll find 174 sumptuous suites and villas with knockout beach and garden views, five great swimming pools, and a showstopping 18-hole, par 72 golf course that stretches along 5,924 metres between the hike-worthy Le Morne and the peninsula’s crystal-clear lagoon. The romance: Beyond the fairways, there’s plenty to keep you and your beau blissfully content; from a brilliantly-run kitesurf school to a well-equipped spa with 11 massage rooms, saunas, hammans, and an indoor heated pool. Elsewhere, there’s a fully-equipped gym, peaceful meditation areas, and even one-to-one coaching from a personal trainer who will devise your bespoke fitness plan. Add to the mix a selection of laid-back restaurants for gourmet cuisine and a couple of bars for perfectly-poured cocktails, and you’ll never want to come home. The stay: It’s six-stars all the way at this recently-revamped boutique bolthole that ranks as the one of the most romantic luxury hotels on the island by Condé Nast Traveller. Named for Indian Ocean spice pioneer Maurice Van Nassau, it’s one that those places that makes a huge impact; not least for its superb setting in the island’s north-east. And the accommodation is just as appealing in the 89 suites and villas - all of which assure sophisticated design, private terraces or gardens (some with pools), and perfect views of white sands and faraway mountains. The romance: This chic set-up will leave you wanting for nothing. There’s reliably good couples’ treatments (along with a Jacuzzi, sauna, steam bath, and thermal pool) at the award-winning spa, sumptuous four-posted sunbeds at the infinity pool, and complimentary shuttles to the Legends and the Links golf courses (both 18-holers). Most standout, though, is the food and drink - especially the floating seafood restaurant and bar, the 25,000-strong wine cellar, and the option of private candlelit dining in a marquee on the palm-fringed beach.